Daily Debate: Should There be Zelda Novelizations? The Legend of Zelda is a series spread across multiple mediums including video games, toys, action figures, music, and manga, but never a proper novelization (with the exception of the Oracle games “Choose Your Own Adventure” books). 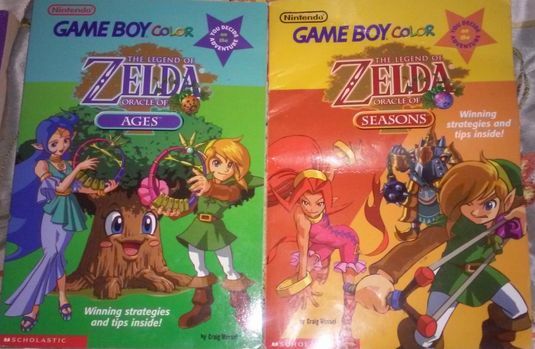 Other video game series have embarked on the novelization route, which includes Assassin’s Creed, Dragon Age, Mass Effect, about a thousand Halo books, and even Runescape, but not our beloved Zelda series. A true novelization seems to be an obvious next step for the Zelda franchise, so why has it not happened? Personally, I would love to see a book series chronicling Link’s adventures as it would give us deeper insight into emotions, thought process, and a wider view of Hyrulean lore. Especially in the earlier games where Link has no more facial expression than the Bremen Mask. However, I can also appreciate the difficulties it would present the author in creating an exciting and interactive plot where the majority of events include maximum two characters. Also writing puzzles in a constantly engaging manner, and exploring combat without becoming redundant. There is also the challenge of deciding which side quests are integral and which are simply superfluous. At the end of the day, if a good novelization were ever written, I would absolutely adore picking up my favorite green-clad hero in the form of a paperback. What do you think? Should the Zelda franchise be novelized in its entirety? Which games do you think would make the best books? Let us know in the comments!